- Help disadvantaged people obtain skills and knowledge to become self-sufficient. During the 1960's the Agency endured many hardships that included racism and bigotry. Despite all the turmoil, the agency survived to become one of Lake County's leading organizations in the delivery of human services. It was also a driving force behind changes in the institutional racism that once made Lake County infamous throughout the nation. 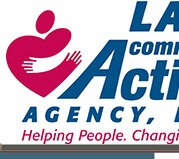 In 1973 the Agency name was changed to Lake Community Action Agency. For more than 44 years it has remained a voice for change and an advocate for the poor, elderly and disadvantaged. 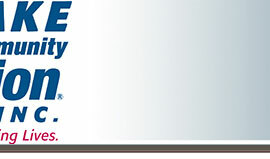 The Lake Community Action Agency administers anti-poverty programs throughout Lake County with U.S Department of Health and Human Services, Community Services Block Grant funds allocated by the Florida Department of Community Affairs. Lake County was established in 1887 from portions of Sumter and Orange counties. It was given its name because there were over 1,400 lakes within its proposed boundaries. Lakes cover 202 square miles of the county's 1,163 square miles total. Located in Central Florida, Lake County is 90 miles in length, and is bordered by Orange, Polk, Sumter, Volusia and Marion Counties. It is a part of the Orlando Metropolitan Statistical Area; one of the fastest growing regions in the nation. In 1890, the first census was formed and there were 8,034 people in the county. The current population exceeds 200,000.